The Basic 3 Steel Trench Box might be just what you have been looking for. Kundel designed these trench boxes to be small and lightweight. These lightweight trench shields are made of 3′ walls and are all steel. The Basic 3 sizes range from the smallest 4×4 trench box to the largest in the series a 7.5×10 trench box. 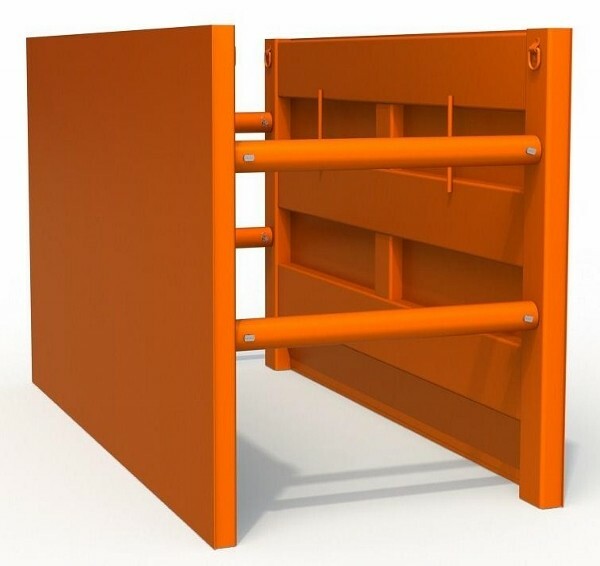 These lightweight trench boxes can be used with small excavators and rubber tire backhoes. The Basic 3 trench shields come with some of the same features as the larger Kundel Titan Series. Notice the internal shelving that can be used for storing tools while working in the trench. These trench boxes are a great model for municipalities, plumbers and industrial maintenance crews. The Kundel Basic 3 Trench Box is great for spot repairs, taps, and maintenance work. These small trench boxes are designed to be lightweight for your job and your wallet. Keep your family, friends and workers safe. 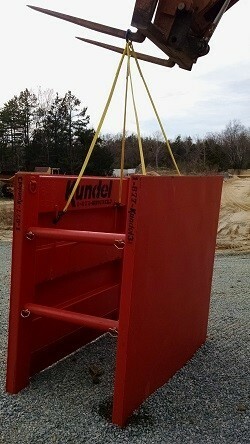 Get a Kundel Basic 3 Steel Trench Box today! Basic 3 trench box with a knife edge on the bottom.